The scheme Digital India is launched by the PM of India in 2015, this scheme aims to make our country into a digitally empowered nation. The scheme focuses on connecting the entire country through high speed connections and mobile networks. The government has taken several steps to benefit people through e-services. Post offices are run by GOI (Government of India). With more than one lakh fifty thousand offices in the country, they are present almost in every nook and corner. Nearly ninety percent of their offices are located in the rural region. Though posts are less used in this digital era, they are still functioning effectively because of the wide range of service schemes run by them. It includes PLI, deposit schemes, Money orders, RPLI, form sales, bill payment, MGNREGS wages distribution and pension payments. Introduced by RBI in 2015, these banks are provided permissions to receive deposits up to a maximum of one lakh. These banks can provide cards which can be used in ATM’s and for other transactions. They can also make fund transfer, payments through mobiles. However, they cannot offer loans and interest rates for savings. These banks can be started with a Capital of hundred crores. The motivation behind this introduction is to take banking services to remote places in the country and to benefit the rural people. It will help the government to deposit subsidies and other amounts directly to the people. It will help the nation to move towards cashless economy. In 2015, RBI received applications from forty one applicants to begin payment banks. However, only eleven were shortlisted for approval. The approval was done based on their financial strength and credibility. Out of the eleven applicants, three have withdrawn their intention to start payment banks. The remaining applicants are NSDL, Entrepreneur Vijay Sharma, Fino Paytech, RIL, Vodafone, Airtel, Aditya birla Nuvo and Postal department. These banks were initially provided a ‘In principle’ approval for one and half years. During that period, the applicants were asked to fulfill all the conditions mentioned in the approval. Once the banks fulfill all the criteria mentioned, the RBI will provide the license to start its services according to banking regulation act of 1949 under Section 22 (1). The IPPB is a public limited company with equity of cent percent from GoI. The estimated amount of expenditure is estimated to be around eight hundred crore. The government is focusing on the forty percent of people in the country who don’t have any bank accounts. By March 2017, it will receive the license for banking from RBI. It will be providing services across the country through its initial six hundred and fifty branches, ATM’s, post offices and electronic devices with Point of Sale features by September. Out of all the competitors, IPPB have the potential to take cashless transactions to the next level. According to the 2015-16 annual report of postal department, each post office covers an average of twenty one Sq. Km. A post office provides services to more than eight thousand people on an average. With the well established infrastructure of post offices at hand, IPPB will be one of the largest banks with widespread branches. IPPB provides 4.5 percent interest on deposits below twenty five thousand, 5 percent up to fifty thousand and 5.5 percent up to one lakh. These attractive rates will encourage rural people to perform banking transactions in IPPB. It will also increase the job opportunities for professionals as they are required in large numbers for this massive scheme. 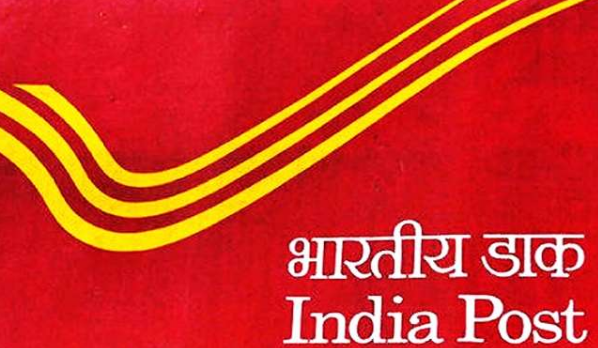 IPPB is planned to be opened in every district to provide opportunities for more than three lakh postal men in that area. Access to benefits: Though IPPB, people especially from rural India will directly get the benefits from the government. This will reduce the unwanted delay in disbursal of funds. IPPB tries to make the banking experience very simple and secure. Inclusive banking: IPPB tries to ensure that everyone in the nation is exposed to banking services and people from all areas irrespective of their location should get the benefits of cashless transactions. Efficient networking: IPPB tries to offer services through mobile, ATM’s, UPI, POS. This helps to perform transaction through any mode similar to a normal bank. It is also trying to develop the technology to compete with other established setups. There are many vacancies in IPPB. IPPB has now conducted exams for various posts to recruit people up to Scale VII. All the preliminary exams are conducted online and candidates are selected through interview. The Government has also initiated the training for a section of selected IPPB officials. The long wait has been ended couple of days ago when the finance minister of India inaugurated the nation’s first India Post Payment Bank (IBBP) Branches at the Raipur and Ranchi through Video conferencing. While addressing in the event the finance minister of the India Mr. Jaitley pointed that with around 1.5K post offices all over the country, the India Post Payment Bank is about the take the bank operation in everyone home’s doorstep. Also he added within this September month there will be around 650 IPPB branches will start its functions across the nation. As a remainder the IPPB is fully owned by the government without any interference of privates and it’s completed under the control of postal department. It is widely believed that, with the presence of such high numbers of post office branches across the nation those post offices would acts as the bridge for connection the people of India particularly who are yet to own a bank account into the banking field. By doing so, the nation would be able to face the socio-economic development well before the expectation. Interested applicants, residing in remote parts of the country will be able to acquire the benefits of this banking project. For this, they will have to open a regular or savings account in IPPB. People can attain information and open their accounts by logging on to the official site of IPPB. To get to the homepage, interested candidates will have to click on the link https://ippbonline.com/. Placing the cursor on the “Savings Account” will highlight three other account options. The person can open a regular savings account either at the bank access point. He/she can also get the same facility at his/her home. If anyone is interested in the second option, then the postman will come to his/her home and do the necessary documentations. Once the account is active, the account holder will be able to get all banking related benefits, which are mentioned below. This scheme brings banking to the doorsteps. One can also opt for phone banking. This service will be offered via call centers or IVR. This scheme also offers the perks of SMS banking. Apart from this, account holders will get missed call banking facility as well. The post office counter will work as banking centers. People will be able to make monetary transactions from these post offices. PM Narendra Modi officially launched the India Post Payments Bank (IPPB) on 1st Sep.